Delhi renowned as the city of Love & Romance known for its Historical monuments, Temples, Political Hustle and bustle, Tasty & Spicy Food, Educational institutions, Healthcare and Scams! In this article we have covered the best things that you can do while on your business tour or as a tourist and that’s without being hoaxed or scammed! Don’t get surprised while being in Delhi when you meet a variety of people with different heritage and culture as they may belong to different states in India that has different language, culture and food. There are more than 22 reorganized languages, excluding English in India and it is very much possible that one Indian may not understand by speaking the language of other Indian. Myself being the native resident of the capital city of Delhi can speak up to 6 languages and can understand more than 10 which is very much common with most of the Indians – So, don’t worry if someone doesn’t understand your tongue as even we as an Indian can hardly understand all the languages spoken here in the capital city. The most common language spoken in Delhi after Hindi which is in the majority is Haryanvi, Punjabi and Rajasthani all three of these languages are named after the names of the state in India where it is spoken in the majority. The capital city of Delhi is different from other states and the reason you have to be extra conscious while dealing with things like accommodation, food, travels and shopping. The widely means used for the transportation in Delhi are Metro, Delhi Transport Corporation (DTC) Buses, Three wheels, App based taxi services like Ola and Uber, private taxi service run by either an individual or a private organization recognized by the Govt of NCT of Delhi and the India’s largest transportation system while travelling from one state to another is the Indian Railways. As soon as you land on the International Terminal T3 of IGI Airport in Delhi you may hire prepaid taxi or three wheeler depending upon the budget of your pocket and smart taxi driver may charge you more than what it cost in actual which you can avoid by hiring an app based taxi service like Uber or Ola. Another thing, while using these app based cab services do strictly follow the navigation of the map otherwise you may become the victim of another taxi scam. In addition to that use “Cash” and the mode of the payment and pay the amount at the end of your journey. Important: App based cab service like Ola require advance payment in case of Shared/pooling cab. What is your budget is too tight? For those whose budget is too tight and cannot afford the taxi can use the Transportation system managed and operated by the Govt. of NCT of Delhi like Delhi Metro and DTC Bus. There are 3 types of Buses operated by the Delhi Govt. Recognized on the bases of its colour, i.e. Red, Orange and Green. Green buses are operated by the Govt. Of Delhi by the DTC i.e. Delhi Transport Corporation. The green buses are more affordable and are non-AC where the Orange buses are similar to the Green buses in terms of fare and routes, but orange buses are operated by the Semi-Govt. Organizations. The Red buses are operated by the Govt. Of Delhi and are A/c buses. To find the best route and nearest bus stand you may download NextBus Delhi app from Google Play Store. Delhi Metro is the another most affordable means of transportation in Delhi. There are two types of Metros — Rapid Metro (limit to certain routes) and the General Metro. The fare of Rapid Metro is a bit high as compared to the General Metro. Accommodation and staying in Delhi isn’t that tough as compared to the Mumbai. As here in Delhi depending upon your budget, you may book and accommodate between 3-star in 7-star hotels. Our recommendation will be, book the hotel which is nearest to your destination and if you are here with the purpose to enjoy the outlook of the city and the historical monuments do book the hotel in the South Delhi which is one of the safest areas with multiple posh areas like Greater Kailash. Don’t book the Hotels through Phone or Email instead use the known Websites and apps to book your hotel which will not only save you from scams, but it will also save your money. The known websites and apps for booking good quality of hotels in Delhi and India are Yatra and ClearTrip where if you are looking for the affordable hotels do use the Oyo Rooms to book your hotel. 3. Food – Breakfast, Lunch and Dinner! Booking your hotel may not cost much as it may cost for the food. Even the affordable hotels can charge a heavy rate on your breakfast, lunch and dinner. We will suggest you to check the rate list before making an order and if it is too expensive do get your breakfast and lunch and dinner somewhere else at the nearest restaurant. You can find the nearest restaurant near you using the Google Maps by typing “restaurants near me”. Alternative to this, you can still enjoy the international food at Dominos, Pizza Hut, KFC and McDonalds that you can find using Google map. There are numerous places in Delhi for the shopping like Select City Walk and MGF Mall, For those who are looking for the affordable shopping we have already covered in detail the Best Top Places In Delhi For Affordable And Low Cost Shopping. While shopping do validate your receipt and make the payment in cash. To find the nearest to the popular event or booking movie tickets you may download the BookMyShow app from Google Play store or Apple Store. Now, what are the things you can do in Delhi. 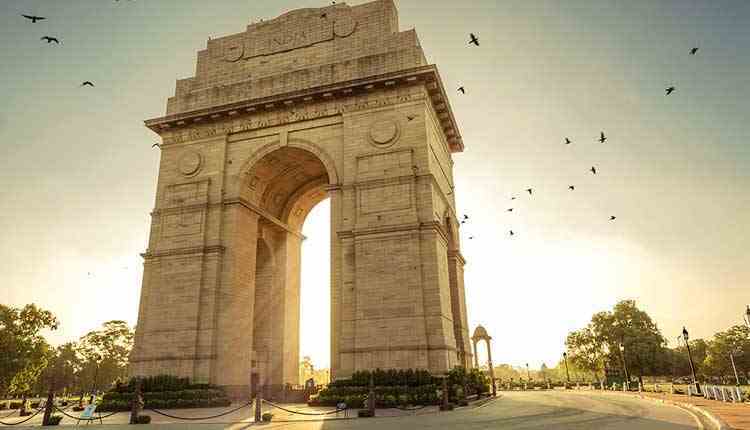 We have covered some of these places in detail in the top 10 Places To Visit With Your Partner And Love Ones In Delhi. If you are a peace lover or a bit religious you may like to visit the Lotus Temple, Kalkaji Mandir, Akshardham Temple, Chattarpur Temple and the ISKCON Temple. The Lotus temple is not a real temple like Akshardham or Chattarpur Temple, but a House of Worship without any god or goddess idols. Delhi is the best place to visit and is a home to the known politicians, business tycoon and celebs. Here in Delhi or anywhere in the world never act like a stranger. For any suggestions and help you may contact the nearest police station or can dial 100 (toll-free). The alternative to this you may contact the political leaders on twitter where they response instantly.